Cory Vincent, Sir Aaron Carter, Jessica ‘Maid of Might’ and David Webb will be there hosting the podcast and giving away loads of free stuff to people in attendance who contribute to the conversation. 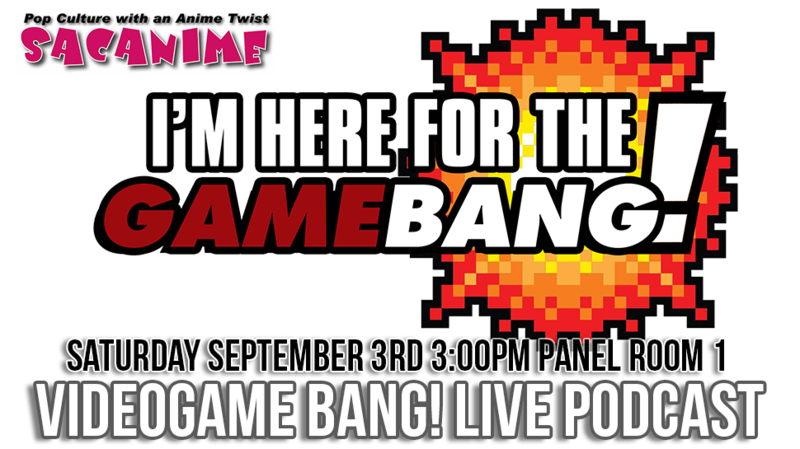 The live Videogame BANG! Podcasts are all about making YOU the star… Do you think No Man’s Sky is a dud? Was Perfect Dark the best first person shooter on the N64? This is your chance to make your opinions heard on Sacramento’s #1 Geek Culture and Gaming Podcast.